Building the leading hair dresser chain in Europe by consolidating a highly fragmented industry. In 2001, Franck Provost was a 100% family-owned hairdresser chain in France, with around 200 salons and €35 million revenues. The chain evolved in a highly fragmented market, dominated by a number of leading franchised chains such as Jean Louis David, Saint Algue, Dessange or Biguine. Invus was convinced of the opportunity in Europe to differentiate from the pure franchise model of the leading chains and engage in a sector consolidation through a dual track strategy combining company-owned and franchised salons. This strategy would create a competitive advantage and a scalable business model through training centers, retention of hairdressers and product sales management, while benefiting from the brand coverage of the franchise model. It would require time, capital, flexibility and execution skills. We met Franck Provost in 2002 and combined our ambition to consolidate the sector. We started a buy and build as well as internal growth program with the dual track model, in France and internationally. One of the key insights was to foster the development in shopping malls where opening bigger salons permitted to adjust personnel better in accordance with weekly attendance variations and generate higher product sales thanks to higher traffic. 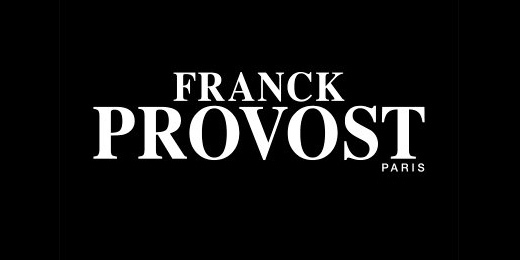 Franck Provost had a unique inspirational reputation among hairdressers and a team with strong execution skills able to manage a network of franchised and company owned-salons. He had also established relationships with shopping malls that could be leveraged for the expansion strategy. Invus brought its experience in partnerships with owner-managers for high growth and consolidation strategies. We worked alongside Franck Provost's management team as partners on the strategic aspects of this transformation, provided our expertise on organizational challenges and stimulated the changes required to migrate to an international multi-brand group. From 2002 to 2007, the company acquired and integrated small regional, 10 to 50 salon chains, and rolled-out the shopping mall openings. The network went from 200 to 600 salons of which 200 company-owned. The business was operating with two brands, Franck Provost and Fabio Salsa. It became the number one company-owned operator in France. In 2007, after a competitive analysis, Franck Provost and Invus identified the opportunity to acquire the Continental European operations of NYSE-listed Regis Corp., which included the Jean Louis David and Saint Algue chains. The acquisition was motivated by significant synergies and upside: strong relationship with hair product brands such as L'Oéral, mass market licensing expertise, well-developed international presence mainly through master franchisees. Invus structured a merger, aligning the interest of all parties. Franck Provost and Invus continued their partnership to build a multi-brand international group now renamed Provalliance. As a minority partner in the operating entity, Regis maintained a presence in Europe to build a success story with the right operating partners. Concurrently, initiated a joint venture strategy outside of France. Spain, Poland and Portugal went from pure master franchise models to controlled joint ventures that leveraged the local partners' skills while keeping control over the development. Provalliance also continued to acquire small company-owned salon chains. Launched a significant licensing partnership with L'Oréal for the development of haircare products under the Franck Provost brand in European hypermarkets and supermarkets. Contributed to the transformation of Provost from a €35 million revenue company into the European leader with network sales of around €1 billion, consolidated revenues of above €200 million and double digit operating margins. Provalliance is today a multi-brand international group, number 1 in Europe, number 2 worldwide, with 2500 salons, 400 of which are company owned and 50% of which are outside of France. Our investment and support allowed Franck Provost to go well beyond his initial plans and expectations. In March 2011, after a ten year partnership that delivered significant growth, Invus sold its shares to Franck Provost and Regis.